Through a range of leadership development sessions this unique two-day program is focused on developing leadership capability and confidence and enabling career progression. Designed specifically for educators Empowering Leaders covers essential aspects of effective leadership as well as governance, legal issues and career challenges. Empowering Leaders combines dynamic sessions and development workshops with keynotes, expert panel discussions and networking to address the unique challenges that educators face on their leadership journey. 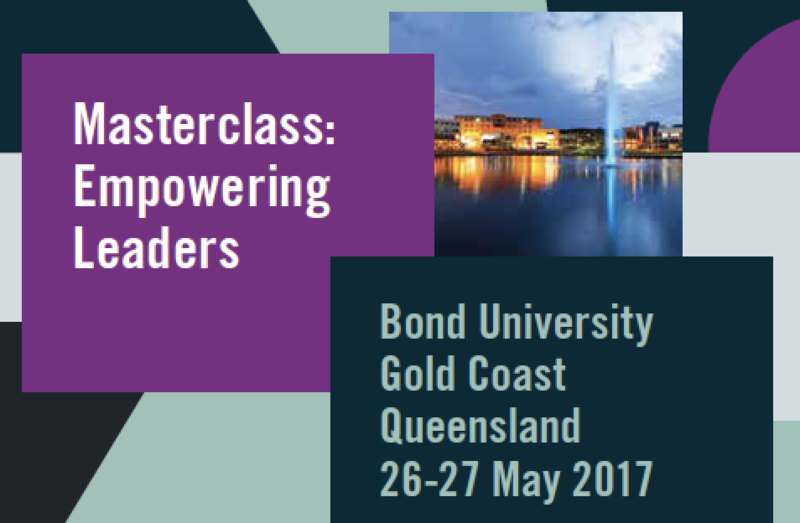 Masterclass sessions will be facilitated by CIRCLE – Centre for Innovation, Research, Creativity and Leadership in Education. This will be a bespoke masterclass with limited places available. CIRCLE founder Dr Phil Cummins is an educator by trade and conviction, who knows and understands schools and leadership. 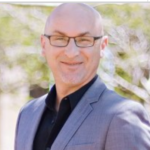 With over 20 years in education as a leader, teacher, author, speaker and, most recently, an Adjunct Associate Professor in Education at the University of Tasmania, Phil now consults widely to government, schools and other organisations about building culture and improving performance. Phil believes that leadership that inspires learning and promotes outstanding educational outcomes is the key to unlocking improved performance in our schools. CIRCLE – The Centre for Innovation, Research, Creativity and Leadership in Education Pty Ltd – equips, empowers and enables schools, organisations and leaders to act wisely, think strategically and use resources well. CIRCLE understands education and leadership. 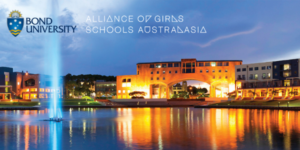 Currently, they support the work of over 1,750 schools, educational bodies and other organisations across Australia, New Zealand, Asia-Pacific and internationally. Drawing on their extensive experience, CIRCLE tailors sustainable solutions for schools and organisations to improve their performance by building cultures of excellence in leadership and learning. To build on what you will learn at the masterclass, The Alliance and CIRCLE are offering the Empowering Leaders Online Course. The course consists of four modules that delivers the skills and understanding that school leaders for the future truly need. The program is designed for ambitious educators, willing to think differently, embrace challenge and empower change in their schools. The program is especially relevant for aspiring and emerging leaders, and for current leaders who wish to take their competencies to the next level of impact. The online program is designed to fit the schedule of busy and committed teachers. CIRCLE founder Dr Phil Cummins is an educator by trade and conviction, who knows and understands schools and leadership. With over 20 years in education as a leader, teacher, author, speaker and, most recently, an Adjunct Associate Professor in Education at the University of Tasmania. Professor Nick James is the Executive Dean of the Faculty of Law at Bond University. He is a former commercial lawyer, and has been practising as an academic since 1996. 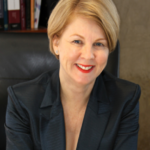 Amanda holds the degrees of Bachelor of Laws (Hons) from the University of Queensland and a Master of Laws from Bond University. She has also undertaken law courses at the University of Leiden, Netherlands and the European University Institute, Fiesole, Italy. 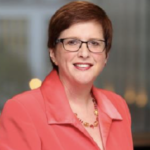 In 2002, after almost 15 years as a corporate/commercial lawyer, including as a partner of national law firm Deacons (now Norton Rose Fulbright) and 10 years as a practising director, Elizabeth founded Board Matters and its associated governance legal practice, Board Matters Legal. 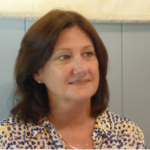 Erica McWilliam (Adjunct Professor, Faculty of Education, QUT) is an internationally recognised scholar in the field of pedagogy with a particular focus how teachers prepare young people for ‘over the horizon’ futures. Setting the stage, this introductory session explores the challenges schools face as they strive to become “fit for purpose” in providing environments that foster 21st century learning. Key leadership theories and approaches are presented, and leading practices in school leadership identified. In the second part of the introduction, participants will be equipped with the conceptual tools to understand strategy and the strategic processes which every school leader needs to master. In this first hands-on session, participants will understand the significance of articulating the strategic vision of the school and analyse the components of successful strategic execution. They will also appreciate the importance of communicating this strategic vision, and develop the requisite communication skills. Participants will together develop and apply their learning to case studies. The focus of this session is the leader’s responsibility for developing effective team. It addresses the characteristics of effective teams, as well as the common patterns of dysfunctional teams. Participants will deepen their understanding of the competencies required to lead others by exploring case studies. 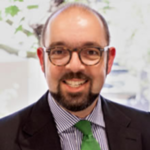 Professor James and Associate Professor Coulthard will draw upon their experience in teaching and practising employment law to examine a range of topics of interest and relevance to school leaders and senior school staff from both private and public schools. These topics include the legal regulation of employment conditions (the contract of employment, awards and enterprise agreements, workplace policies and procedures, and the minimum entitlements prescribed by the Fair Work Act), discrimination and bullying (what it is, what can be done about it, grievance procedures etc) and termination of employment including unfair dismissal. In this session, participants will develop and reflect on the skills and perspective required for effective implementation of plans aligned with the strategic vision of the school. They will build a set of conceptual tools and models to incubate, design, deliver and evaluate “signature” programs, projects and initiatives. In this concluding session, and drawing from the experience gained in preceding workshops, participants will consolidate and expand their understanding of tested tools for improving their leadership competencies in the complex environment of schools. There will be an emphasis on the techniques of reflective practice in getting better at leading school improvement, leading others and taking charge of one’s own professional growth as an effective leader. Anticipating Leadership: What should educators pay attention to? In this presentation, Prof McWilliam will introduce participants to the ‘attentional economy’ of one principal of a high performing girls’ school, noting the interventions she made to prioritise the time available for building a learning culture in her school community. Erica will then move on to explore strategies that will assist middle managers and other educators to understand the attentional requirements of successful leaders of collaborative learning communities. Finally, she will provide some advice in relation to the promotional process, with a particular focus on gender relations.